NHS England » Let’s continue the patient revolution (in Basingstoke)! Let’s continue the patient revolution (in Basingstoke)! Emily Carter, Regional Head of Patient and Public Voice (South), NHS England. We are opening the doors of NHS England’s Patients and Information Directorate to the public (and anybody else who wants to find out more about what we are doing) on 17 June, with four simultaneous and web-linked events across the country. In the south, we are meeting in Basingstoke and having a focus on our work to drive transparency and participation in general practice. General practice is a critical lynchpin in people’s healthcare – not to mention the front door for most people accessing NHS care. Change is coming to general practice and in particular how we as patients will interact with it. The NHS Change Day pledge that I made is to join my local Patient Participation Group and get involved in shaping the care that I receive. This pledge feels even more important now that I’m 6 months pregnant and expecting to use these services more frequently! Lest not forget that NHS staff are patients too!!! the introduction of the Friends and Family Test from December 2014 [for the record, I love it – and have seen the massive difference it has made to the quality of services when I worked in community healthcare] • the new contract for GPs which encourages practices to work with their patient groups to review patient feedback and work together on making changes in response. In the south, we have a brilliant project with Healthwatch Swindon and local patient groups in Swindon testing out what this could look like. I’m really looking forward to the debates in Basingstoke and online on 17 June about the work we are doing at NHS England. But I also encourage everyone to get involved in shaping their NHS- and there are so many ways to do so – whether through joining your local PPG or giving your views through new Friends and Family Test survey. Let’s continue the patient revolution! 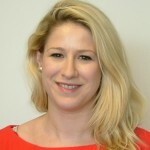 Emily Carter has worked in the field of public engagement and patient experience for 12 years in a range of settings – voluntary sector, Primary Care Trust, Strategic Health Authority and a community healthcare NHS Trust provider. Emily has worked as Regional Head of Patient and Public Voice at NHS England since April 2013- working with the Area Teams and Clinical Commissioning Groups across the South of England. Follow Emily on Twitter: @NHSEmily.